We are happy to announce that Circuit Media has recently earned “Certifiably Green Denver Business” status with the City of Denver’s Department of Environmental Health! 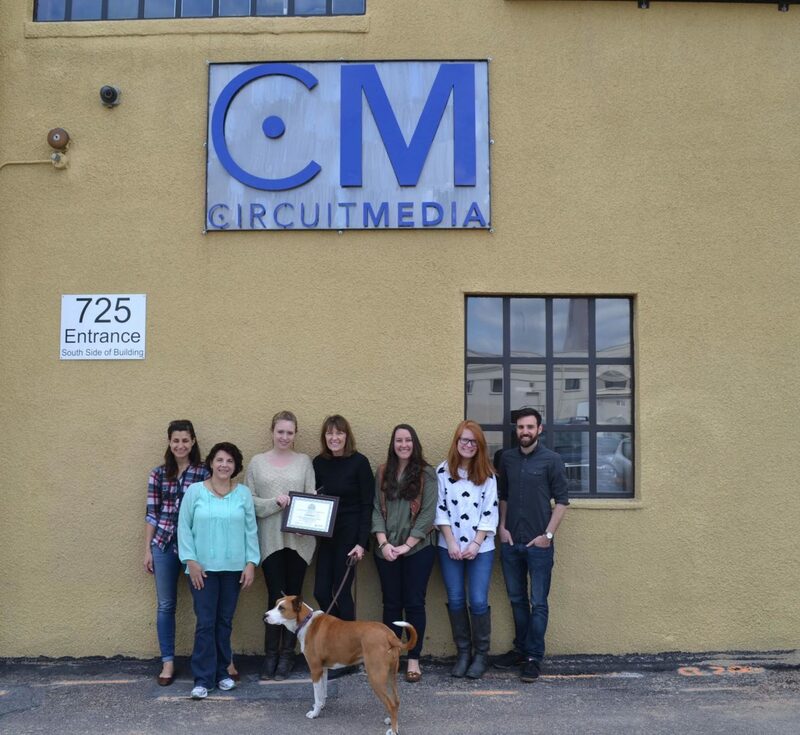 Circuit Media is committed to reducing our company’s environmental footprint and promoting environmental stewardship at all levels of our organization. We believe that minimizing our environmental impact is an essential part of contributing to the community and to future generations so that they are able to live, work and play in a clean and safe environment. In the process of obtaining our certification, we’ve created a green policy that all of our employees have embraced. The policy outlines our efforts to use environmentally safe supplies and services, as well as minimize pollution and waste, conserve energy and water, buy environmentally friendly products and encourage environmentally preferable transportation. For more information about our green policy, please click here. For more information about the Certifiably Green Denver program, please click here.